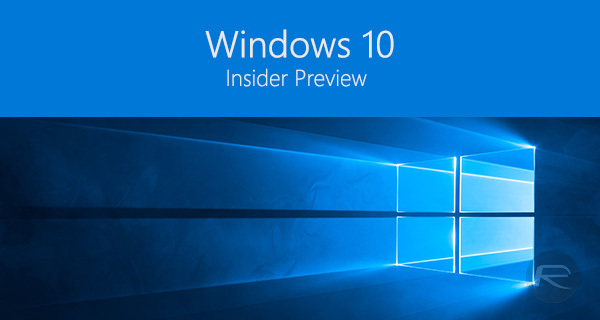 Microsoft has today released a new, updated version of the Windows 10 Insider Preview build to those on the Fast ring, with build number 10532 now available for download. According to the official blog post for the current build, Microsoft has added a couple of new features and tweaks as well as the usual round of bug fixes in this release, so if you’re one of those living life on the bleeding edge – no Edge pun intended – then now would be an excellent time to get the updated build downloaded and installed. 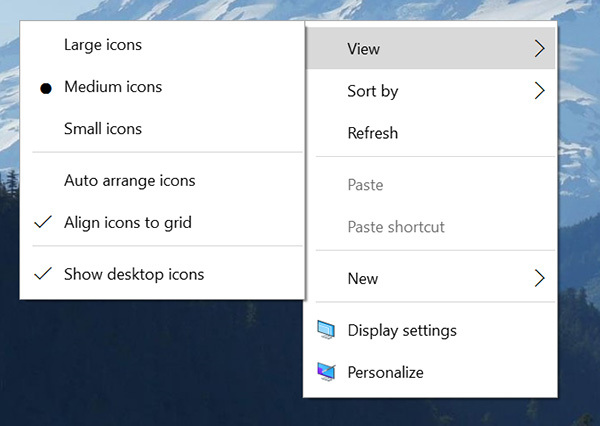 Microsoft is showing that it has already listened to feedback by working to improve Windows 10’s context menus, making them look more attuned to the new modern design language of the new OS, the results of which you can see below. The same is being done to make the the overall “light and dark theming” more consistent. 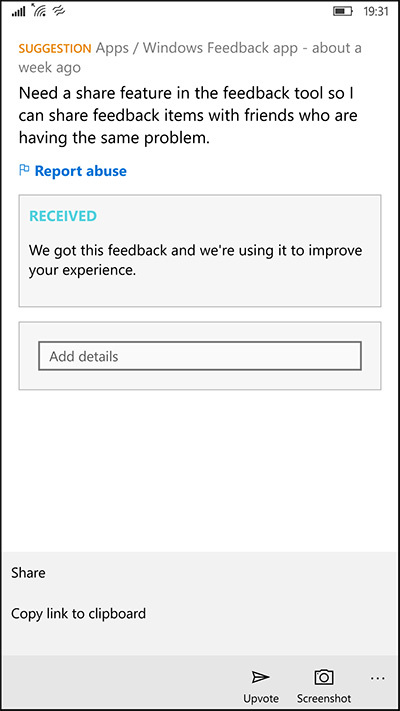 The new build also allows users to share their Windows 10 feedback via any app that supports the built-in Windows Share functionality. 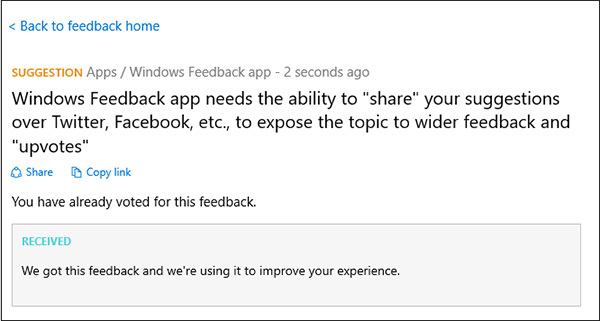 The share functionality will make its way to the mobile Windows Feedback app as well, that is, whenever a new build is pushed to the platform. There is no indication as to when that might be. This is the second updated build of Windows 10’s Insider Preview to arrive since the operating system’s release to the public, and it’s clear at this point that Microsoft isn’t going to stand still now that its software is out the door. That’s a very good thing indeed. Here’s hoping that those who install this new update do the right thing by reporting bugs and the like, so things can get ironed out before the general public get involved. We’ve already covered how you can get Insider Preview builds for yourself for a chance to check out upcoming new features for Windows 10 before anyone else, so be sure to check our guide out here Enable Insider Preview Build Updates In Windows 10, Here’s How if you’re reading this and feel like you’re missing out. Just remember, though, despite Microsoft’s rather grand name for these builds, they are still effectively pre-release builds which aren’t exactly stable. The current build, for example, does not support Windows Hello face sign-on with certain devices and in some instances may cause the 64-bit variant of Google Chrome to crash when launched. As is always the case here, we suggest backups, backups and more backups are made to ensure no valuable data is lost during the testing of these builds. Oh, and make sure you report bugs to Microsoft. That’s kind of the whole point! For every AT&T user have no experience of how to սոⅼοсking their AT&T devices, go google just google atttiphoneeuunlocking, we can սոⅼοсking all AT&T device up to date, including the new 6S and 6C.